When it comes to enjoying a fun-filled street shopping spree with your friends, Bangkok is one of the right destinations to explore. The capital city of Thailand is home to a myriad of shopping locales and await shopaholic travellers like you with surreal shopping experiences. Planning to visit Thailand? Book our trip to Bangkok (one of our best-selling international tour packages) at http://www.tourient.com/Destinations/Bangkok and enjoy a hassle-free visit to the veritable shopping hub. Tourient offers cheap international tour packages. 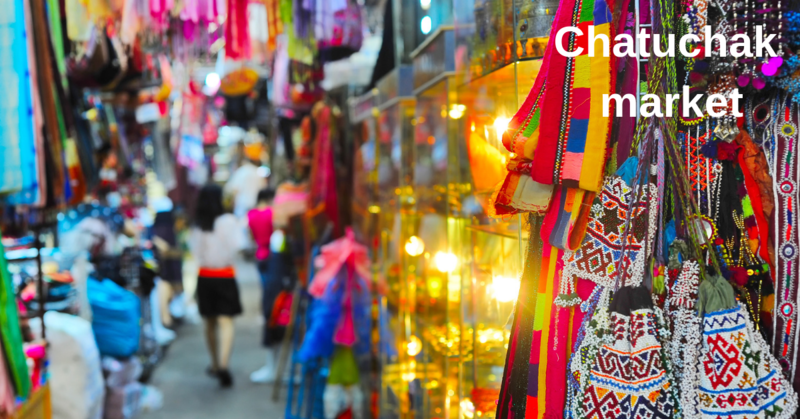 A visit to the Chatuchak market is a great way to make the most out of your weekend in the city. Chatuchak market is revered as one of the largest markets in the world, and the place certainly lives up to its reputation as it boasts of having over 15,000 stalls that welcome keen shoppers with every product imaginable. Given the vast expanse of sprawling space of the market, it’s worth wearing comfortable clothes and footwear for an enjoyable shopping experience. You can take either the subway (MRT) or the sky train (BTS) to get to Chatuchak market. If you want to indulge in a traditional and budget-friendly experience, head over to Chinatown. The shopping locale offers a completely different shopping experience as compared to that of mega malls. Here, you can haggle on anything you see that’s worth your money. From hi-tech electronics to fancy wear and exquisite handicrafts, there’s nothing that you can’t get in the crowded alleys of this market. 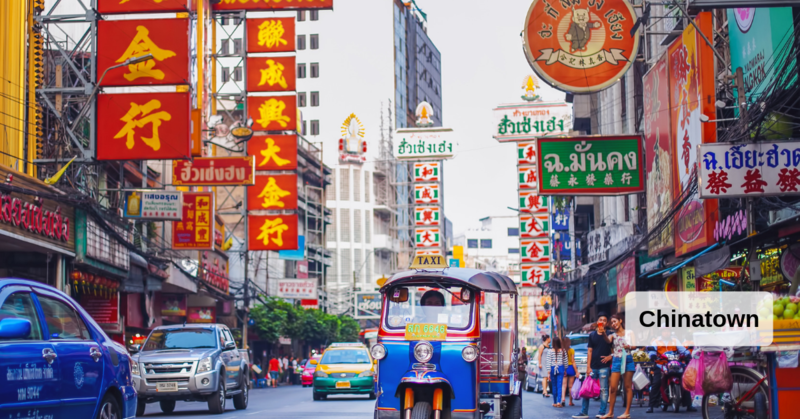 Chinatown is located to Hualamphong; getting a tuk-tuk or a taxi is the easiest way to get there. 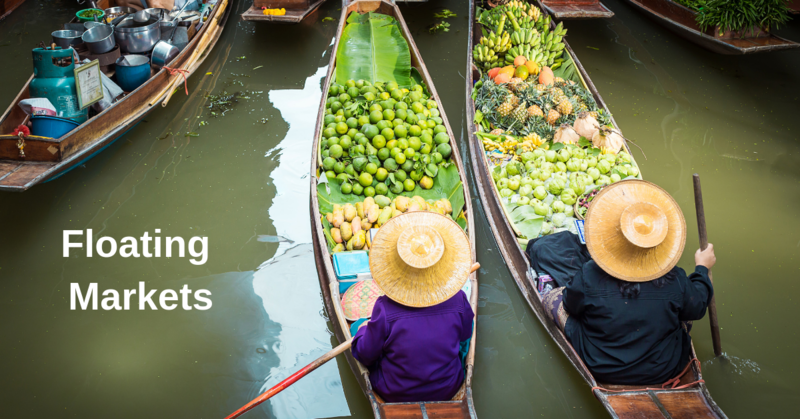 Your shopping spree in Bangkok is incomplete without exploring the uniqueness of the city, the floating markets. If you haven’t visited floating markets before, exploring boat shops is surely going to be a one-of-a-kind shopping experience for you. Most of the floating markets in the city sell organic and farm-fresh fruits and vegetables. So, if you are someone who prefers fresh grocery picks, a visit to some of the floating markets is surely going to be worth your time. The large and must-visit floating markets of the city include Amphawa floating market and Damnoen Saduak floating market. 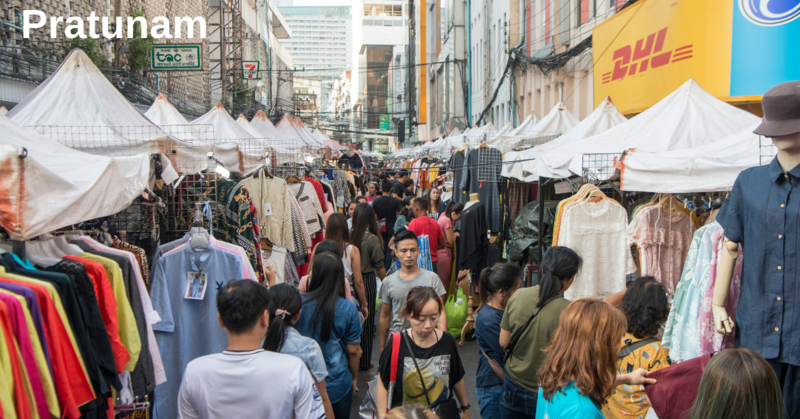 Pratunam is the wholesale fashion district of Bangkok; well, at least that’s what the place is popular for among local shoppers in the city! If you want to stay updated on the latest fashion trends, and that too on a budget, Pratunam is the right place to be. Shops in the locale offer fashionable and quality clothes, footwear, and fashion accessories at wholesale prices. Given the myriad of shops in the fashion district, it’s a guarantee that you’ll find what you want. Also, do not forget to bargain politely to bag the best deals. We, at Tourient, believe that you deserve to enjoy to the fullest during the holidays you take. We help you enjoy hassle-free holidays (both domestic & international) by booking flight tickets, hotels, and car rentals on your behalf. To explore international holiday packages including flights, visit tourient.com.